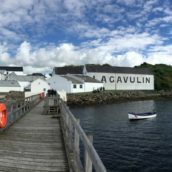 With the Islay Festival of Malt and Music rapidly approaching, the island’s whiskies have been much on my mind. A little while back, we took delivery a big box of chocolate from the folks at Bowmore, along with instructions to give them away free with their whisky. While we obviously thoroughly endorse such actions, we also made sure we did some quality control, and did some tasting of the chocolate. We are professionals. 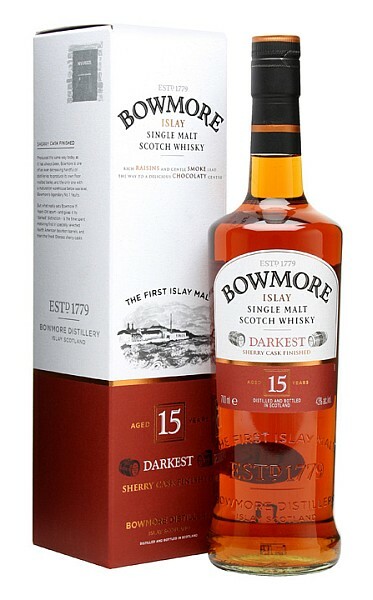 In short: it is very nice and we’re giving away a bar with every bottle of Bowmore Darkest 15 year old. The people behind the chocolates themselves are Montezuma’s, a chocolatier of whom I have long been fond – I used to work a short walk from their Spitalfields market shop and spent many a lunchtime stocking up on chocolate bars to keep me going through the afternoon. And the next day. 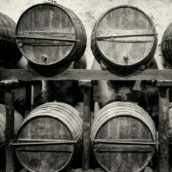 Sticking whisky in chocolate is not a recent invention, but the recent rise in quality of boutique chocolate in the UK has meant that these days, it’s a lot easier to find something that’s quite a bit better than the archetypal 1970s’ cooking chocolate filled with eye-wateringly alcoholic cherry brandy. 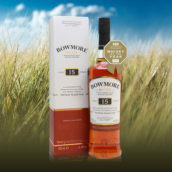 Montezuma’s are at the front of that wave, and they’ve worked with Bowmore to create something a bit special, combining flavours that bring out the best in the whisky. First up, the whisky itself. 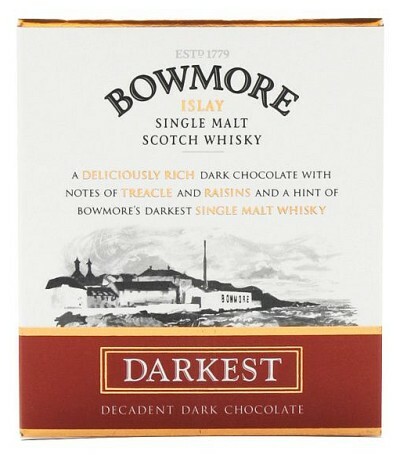 Bowmore Darkest is matured for 12 years in bourbon casks before being finished for three in oloroso sherry casks. With the recent love heaped on Bowmore fully matured in sherry casks (Devil’s Casks, we’re looking at you – dear Bowmore, please do a batch 2…), it’s unsurprising that this has picked up in popularity as more people have realised how well peat and sherry go together. Nose: Leathery sherry notes, burnt sugar, medicinal edges, tar, some coal smoke and charred fruit (the puffed-up burnt raisins on the edges of a fruit cake), all backed up by a touch of lighter fruit and some cream. More sweetness develops as it sits in the glass, as well as some dark rubber notes. Palate: Pungent fruit and sour butter up front, with woody tannins coming in fast, and touches of menthol and black liquorice developing. Behind that is woody spice, cinnamon sugar and blackcurrants, with fruity chew flavours appearing as it sits in the glass. A touch of water sweetens things up and brings out some lebkuchen spiciness. 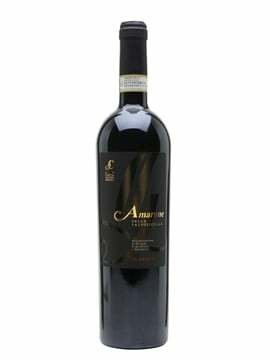 Finish: Dark wood, sour red grapes, tannic hints and a touch of green apple. Comment: A solid sherried whisky, with Bowmore’s more gentle smokiness not dominating, as happens with some other sherried Islays. 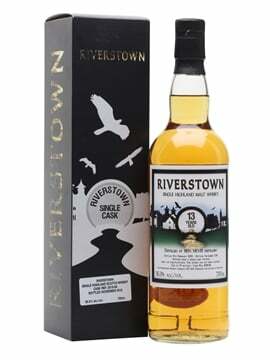 Well-balanced and a good intro into the world of smoky, sherried drams. 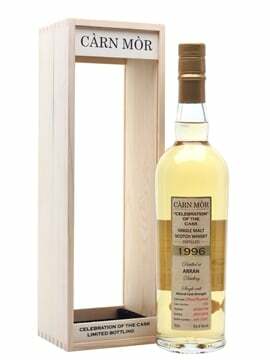 Nose: Rich, dark cocoa with touches of tobacco leaf, milky coffee, sweet treacle and a touch of sour berry fruit. 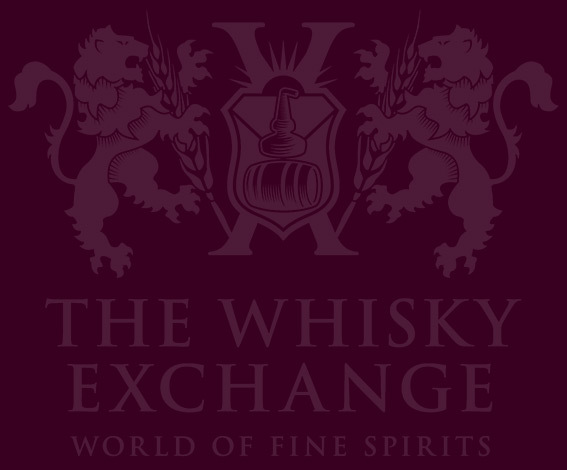 Palate: Good, slightly bitter, snappy textured chocolate on the outside, followed by a sweeter, creamier truffle filling, with dried fruit, gentle peat smoke and hint of oak. Finish: A touch of salted caramel quickly fades to leave a long and lingering bittersweet cocoa note. 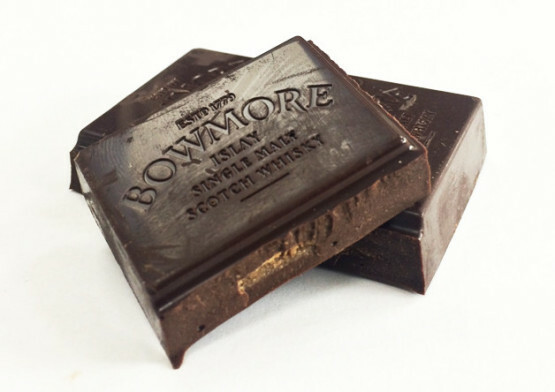 Comment: Tasty chocolate, complementing the darker flavours of the Bowmore Darkest with some fruity dark chocolate and a touch of creaminess from the truffle. 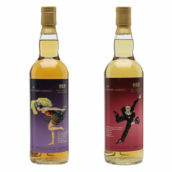 Tasty on its own or as either an accompaniment to or an excuse to have a dram. We’re running our free chocolate offer as long as we have the chocolate – just grab a bottle of Bowmore Darkest 15 and we’ll send one to you.